Modelonia Player is free but you have to sign up for the NUSofting Newsletter to get the download link. 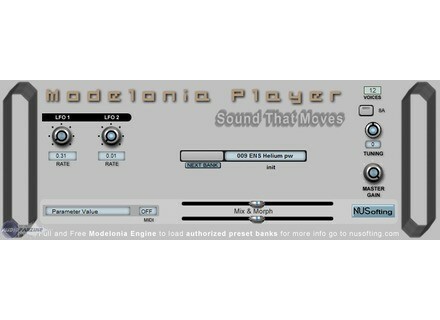 The monthly NUSofting Newsletter will include new presets for the Modelonia Player. Universal Binary for Mac OS X available (AU and VST). QuikQuak Updates Pitchwheel QuikQuak has updated Pitchwheel to v2.50.